KDE team have issued a security advisory (CVE-2011-3365) for the KSSL component in KDE 4.6 and 4.7. I have applied the proposed patch to fix the security hole and updated packages for kdelibs are available from my ktown repository, for both KDE 4.7.1 and KDE 4.6.5 (because I intend to keep that release for a while, it works very well with Slackware 13.37). Direct links to the packages follow, but you can check out any of the available mirrors of course. The new KDE 4.7.2 wich is right beyond the corner will have this fix incorporated. Then there is the Adobe Flash Player. Finally we have a Linux flash player for both 32bit and 64bit that is on the same terms as the MS Windows version. 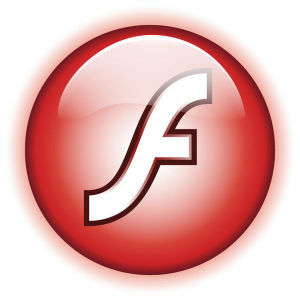 Yesterday, Adobe announced the official release of their Flash Player release 11 for all platforms. Some of you will cheer, others will moan, but nevertheless this is a milestone in 64bit Linux support. It was (in part) because of the availability of 64bit Flash for Linux that I started the 64bit Slackware port in 2008. And Slackware-current, some people are speculating on huge updates in the near future because there has been such a long silence on the update front. Please do not get too disappointed if the amount of updates is not as big as you might hope. Sometimes, there is real life to take care of. I am pondering about another blog post, but the idea has not yet finalized in my mind. What it boils down to is, how should I digitize my rather big library of vintage Science Fiction books? I have many tens, maybe a hundred books that certainly will never be released in digital format, and I am looking at the tools to make the conversion. Slackware packages for all the (OCR and scan cleaning) software that I think I will need have been compiled but I hesitate to release them. Mainly because I have not yet tested them myself… ideas are welcome, especially ideas about how to go about the scanning process (I do not want to cut up my books). More to follow! Posted: 4 October, 2011 in Me, Slackware, Software. I remember back in the day a friend a handheld Logitech scanner that was probably with width of a paperback novel (you didn’t mention if you had paperbacks or hard covers). If you find something supported these days (i.e. : it probably had a proprietary cable) that could probably save your books although it would be much labour intensive than running all the pages through an auto-feeding flatbed scanner. But what about taking quality pictures with a digital camera of every page and running that through the software chain. And Costco sells this “receipt digitizer” that may be adaptable to scanning books but I never thought of using it for that. But that would mean separating the pages but you might not have to take the book apart if you just run the page through then pull it back. Thank You for the timely update of flashplayer-plugin! It use 20 to 30 percent less cpu than the previous versions on my system. I did not have much to do yesterday so was just passing time and came across this which was may be of some use for you.